On November 5th, the first China International Import Expo grandly opened at the National Exhibition and Convention Center (Shanghai). GanoHerb International, Inc., an overseas branch of GANOHERB, was invited to participate in the exhibition to show Ganoderma Lucidum health experience that combines traditional Eastern culture with Western modern civilization. 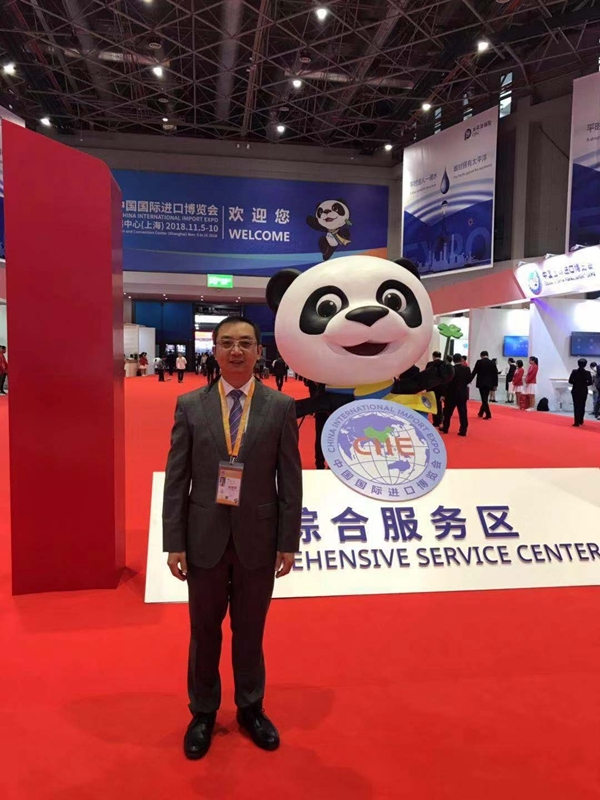 The China International Import Expo is unprecedented: more than 2,800 international companies from more than 130 countries and regions participated in this exhibition. Regardless of the quantity or amount of imported exhibits, this exhibition is the highest in domestic exhibitions. This exhibition is the world's first import-themed national-level exposition, highlighting the Chinese government's positive attitude towards trade liberalization and economic globalization, and implementing major initiatives to open the market to the world. It represents a significant milestone in the history of international trade. Therefore, as an important stage for countries to show their style, the brands selected in this Expo must undergo extremely strict checks on product quality and be of world quality. GANOHERB is a US Reishi brand known as passing [Organic Certification in Four Regions in the World". Its raw materials are taken from the first Ganoderma lucidum base certified by China, the United States, Japan, and the European Union. It is also the Demonstration Farm of Edible-Medicinal Mushroom Cultivation and Processing Technology of the UNIDO, which guarantees the pure quality of the products from the source. Over the years of development, GANOHERB has mastered proprietary advanced manufacturing technologies and possessed the advantages of setting national standards and international business standards in Ganoderma industry. To meet the needs and likes of consumers from various countries, GANOHERB has developed distinctive organic Reishi health products such as Reishi Coffee, Reishi Biscuit, Reishi Chocolate, Reishi Toothpaste and Reishi Tea by integrating the safest and most effective Lingzhi with country-specific foods or health products on the basis of the five thousand years of health cultivation concept of Traditional Chinese Medicine. The user-friendly product design and the all-around service concept, as well as more than ten international quality cerfications, ensure GANOHERB to gain popularity among consumers in the global market.